Improves circulation throughout the body. Provides enhanced enzyme metabolism and oxygen utilization in the heart muscle. 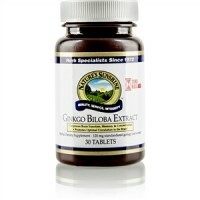 Ginkgo biloba leaf is one of the most popular and well-studied herbs in the world. Its ability to increase circulation has been documented in numerous clinical trials. 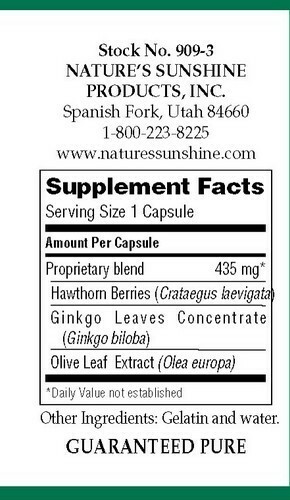 Ginkgo is a powerful free radical scavenger. It helps protect blood vessels and optimizes the amount of oxygen supplied to brain cells. It may also help support blood flow to the extremities. Hawthorn berries contain flavonoids and other compounds that may benefit the circulatory system, especially the heart. They also contain volatile oils, saponins, alkaloids, vitamins and minerals. 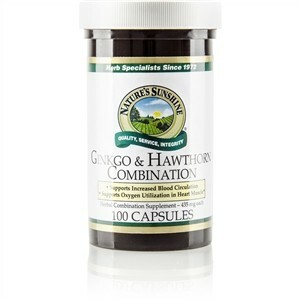 Hawthorn berries, ginkgo leaves extract and olive leaf extract. Take 1 capsule with a meal three times daily. Satisfaction Guarantee ~ We work hard to ensure that your Solle Vitamins shopping experience is completely satisfying and enjoyable. We guarantee your total satisfaction by providing the very best prices, products, security, privacy and service. You may return any item that does not meet your expectations within 30 days of purchase for a full refund of the product price. Guaranteed! Fast Free Shipping ~ Why pay for shipping when you can use those dollars for more great products? No matter how large or small your order, you won’t pay for shipping. Your information is safe & secure ~ Your comfort, security and confidence are our utmost concern. All transactions are digitally encrypted using the latest technologies. We never share any of your information. Passionate People ~ We love what we do. We work hard to bring you the very best products at the very best overall value every single day. At home and at work, our team members pursue a health-conscious lifestyle, from incorporating natural remedies into our own daily routines to encouraging others to adopt a holistic approach to health. If there is anything we can do to make your experience with Solle Vitamins a better one, we want to hear from you! Copyright © 2018 Solle Vitamins. All rights reserved.